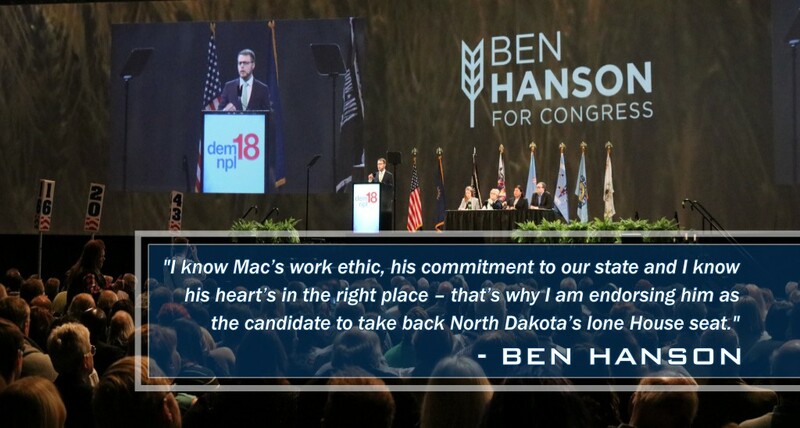 After Mac Schneider won a hard-fought contest this past weekend to earn the Democratic-NPL endorsement for Congress, Ben Hanson announced that he is suspending his campaign to fully support Schneider’s bid to take back the seat held by Democrats for more than two decades. For Congress. For North Dakota.